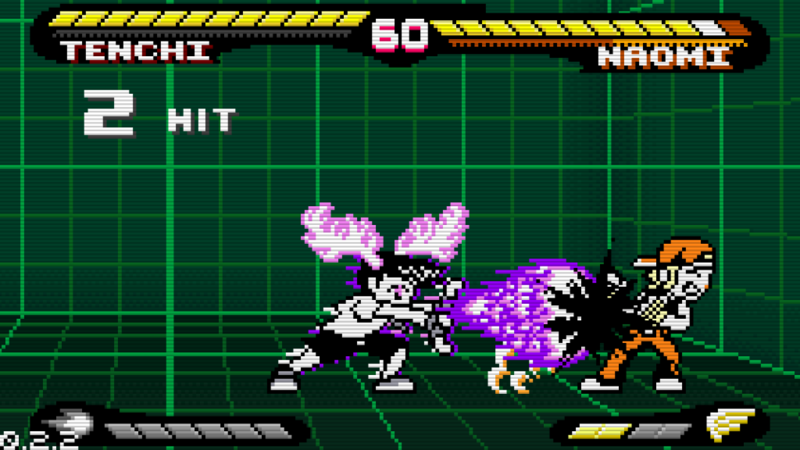 I have, for whatever reason, been kind of obsessed with the development of Pocket Rumble, a simplified fighting game harkening back to the Neo Geo Pocket Color games. First announced for Nintendo Switch in the very first Switch Nindies Direct in February 2017, the game was originally announced for a release that March. I was personally looking forward to having a cheap fighting game to play as I played Zelda to death. Long story short, a full year later after numerous delays, technical issues, submissions to Nintendo, etc., it seems the game still lives and may be closer to coming out than I had thought. On April 4th, publisher Chucklefish announced on its blog that it would have demos of its upcoming games at the EGX Rezzed convention in London this past weekend. And, lo and behold, it would be bringing the Switch version of Pocket Rumble. The folks at SDNIA sought out the game at the event, and confirmed that, yes, it is real and playable on Nintendo Switch. We have no more information after that, be it a release date or official details for the year-long delay, but lord knows as soon as any news about the game releases, I’ll be sharing it here. Mother of God. It’s actually real. FINALLY.